To update the site name and slogan image or text which appears in the header area of the template complete the following steps. For both the site name and slogan settings you have the option to display an image which you can upload to the website or to use text which will appear in the header area of the template. If you want to use images for the site name and slogan complete the following steps. 1. 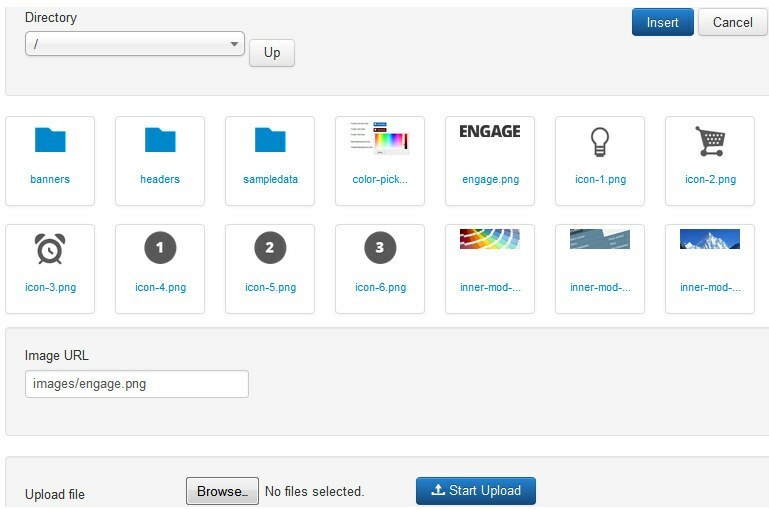 From the site name and slogan settings tab you will see two options to upload the images to your website. The first option is the built-in site name and the second is select your slogan. 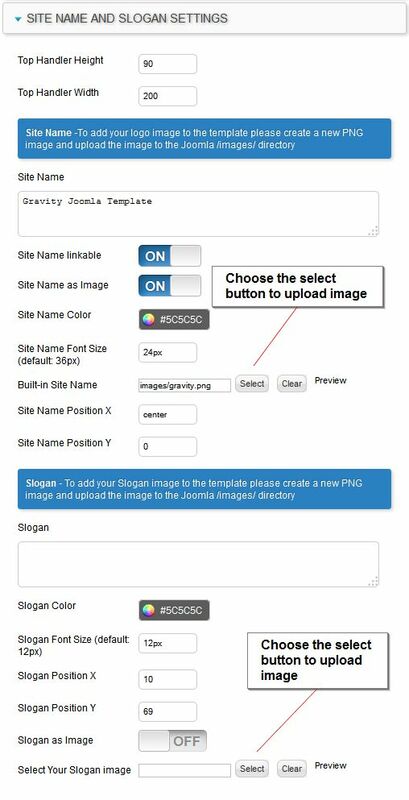 To upload the site name and slogan PNG images you have created just choose the select button next to each setting and the following will now appear. 2. To upload the new image select the Browse button to choose the image you want to upload from your computer. 3. To upload the image select the blue Start Upload button to upload the image to the website. 4. Once the image is uploaded to the website you can select the image from the directory view as show in the above screen shot. 5. After you have clicked on the image select the blue insert button to insert the image into the control panel field. Once you have uploaded both site name and slogan images click the save and close button to save the changes to the control panel and the new images will appear in the header area of the template.